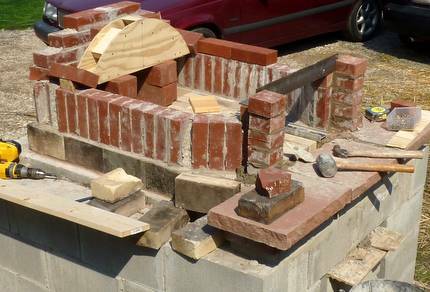 The nights have been above freezing so we’ve begun work on the masonry oven again. I am trying to not get too excited, but it’s hard. It is fun when it gets to this point: we’re building the arch of the barrel vault of the oven so it’s really taking shape. Of course, I had to take a day off of work to accomplish this, or rather, to get all my other work completed so I could take on this task. 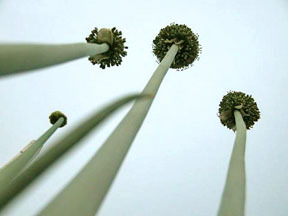 But: peas, potatoes, favas and garbanzos are planted and a lot of other garden grunt work was completed. Milking muscles work well for weed-pulling! 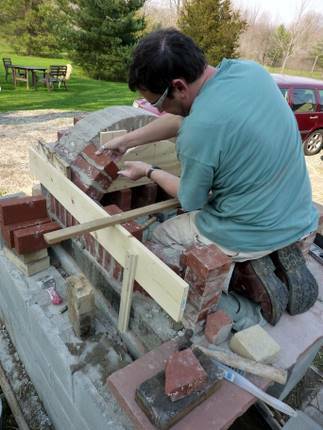 The arch should be finished this week, and then we’ll begin on the chimney and entry arch. Then, it’s all concrete work. I am guessing we’ll fire the thing up by the end of April. Whee! Wow–I didn’t catch your first piece on this topic until today. Great info and I can’t wait to see how it works for you. Awesome!! I’m dying to build one of these, but it’s pretty far down on the list at the moment. I’m going to live vicariously through you, if that’s okay! That’s terrific. If I lived anywhere with abundant wood and space, I’d have one. As it is? I just enjoy those who do by proxy. Exciting to see it coming together and getting so close to completion! Do you know what the first thing you’ll cook in it would be? We have friends in Chicago that built one in their backyard and had us over for pizza. YUM! You will love it. I can’t wait for one at the farm! Hi Mme Slif, indeed, it should work fantabulously!!! I think I might knock off early today and put the rest of the vault up. It’s a nice day outside. Cheryl, well, that’s only because you haven’t been at your place long enough. We’ve been here since Nov ’04 so…it was time! Sara, don’t we all? I won’t mention the leak in my garage. But yeah it’s soon gonna be firing season! whee! It should satisfy part of my hubby’s pyromania urge. Thanks, Stefani. You’ve got a lot of other things going on in your back yard, that’s for sure. MC. good question! I have no idea. Probably pizza followed by bread. Mmm bread. Angie! Bump it up further on the farm priority list than what we did. It hasn’t taken as long as I thought. I thought I would really be dragging my feet but in fact I am fairly motivated to complete the thing. Susan! My first tweet! Sweeeet! Ooh look forward to reading about your first culinary creation from the ‘Loven’. I see what looks like firebrick in part of it; is it? Can the majority of it be regular brick? The floor is firebrick, Annie. The upper bricks are solid (no holes) so that they can hold the heat. You could build the whole thing out of firebricks, of course. And it is kind of important to have the solid bricks. Otherwise, you can use regular bricks for the cladding, etc. Sorry I’m so late to this party. I found this as I started planning to build an oven. I find your design elegantly simple, and your pictures helpful. I’m curious though about how you transitioned from the barrel roof to the flue. The flue must be higher than the roof, and it is outside the firebox, correct? So you have a vaulted room and a connected flue? Thanks for your efforts to document this project. Hi Steve. Better late than never? This was the point at which I needed to cut a lot of bricks and rely on a lot of mortar. The three rows of bricks in the barrel are connected to the angle iron that spans the oven opening by a row of tipped bricks. The bottom of the tipped brick row sits on the L of the angle (the angle points to the inside of the oven) and the top of the tipped brick row hits the barrel vault in a smooth-ish line following the curve of the barrel…it is important that the ceiling is continuous, no wee pockets. Lots of cutting, lots of wedge bricks as infill; this and installing the chimney (corbeled; where one horizontal row overhangs the one below it by about 1/2″ until it reaches the 8″ square terra cotta flue) were frankly the most maddening part of it all. I hope that helps. I probably should have documented the process better than I did but mortar and camera buttons don’t play well together. Thanks for the quick response. I think I have an idea what I need to do. The pictures of the finished oven and the first fire helped. I may have some questions when I get elbow deep in mortar myself.